Vardon Golf Club, located in Minot ND, is one of the finest golf courses open to public play in the upper Midwest. The course has been host to the Western ND Charity Pro-Am, a premiere event on the Dakotas Tour, which has crowned champions that include the likes of Tom Lehman and Steve Jones. Many of the pros have stated the greens at the Vardon are among the best they have played. The quick greens are defended by well-placed bunkers requiring accurate approach shots. 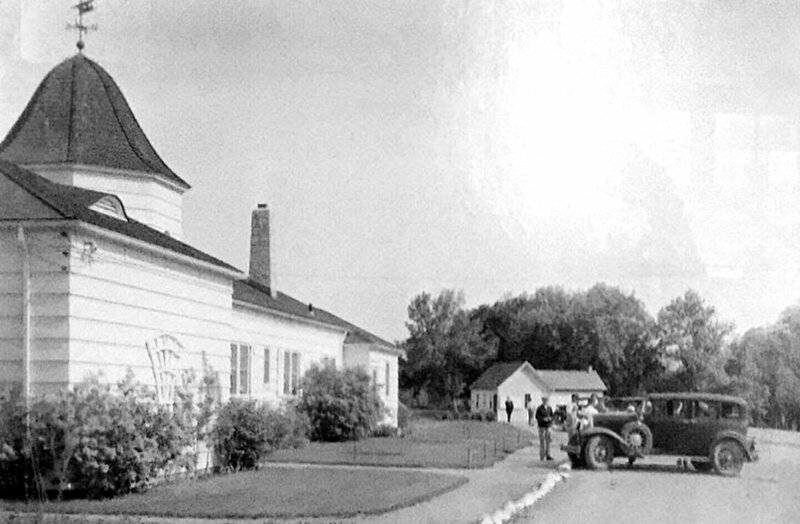 The Club had its beginnings in 1928 when a group of businessmen called a meeting to form a new country club. The organizers called upon Tom Vardon to design the original front nine. Tom, who was a playing professional and club pro in addition to a course architect, finished runner-up in the 1903 British Open, to his brother, Harry Vardon. Harry Vardon was a 6-time winner of the British Open and inventor of the Vardon overlap grip. The original front 9, which opened in 1929, remains the same layout today. 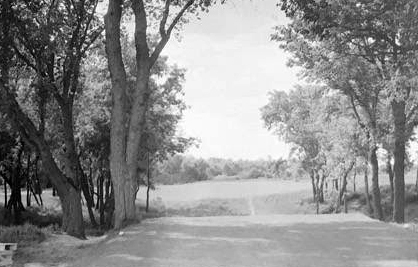 Below are some pictures from circa 1930 of the original clubhouse, hole #3 green and hole #4. Unlimited access to the course & pay only a cart fee for every round played. Featuring a full service Golf Shop, The latest in golf equipment and apparel, and PGA Professionals on staff for golf instruction & club fittings. We can accommodate your groups big or small for outings. We are also North Dakota’s only course with Golf Boards. Which can be a fun way to get around the course. ATTENTION VARDON MEMBERS AND FRIENDS!! Hosting golfers since 1929 over rolling river bottoms, the Vardon Golf Club was completely rebuilt, rededicated and reopened in August 2013 after being inundated by the epic Souris River floods of 2011. 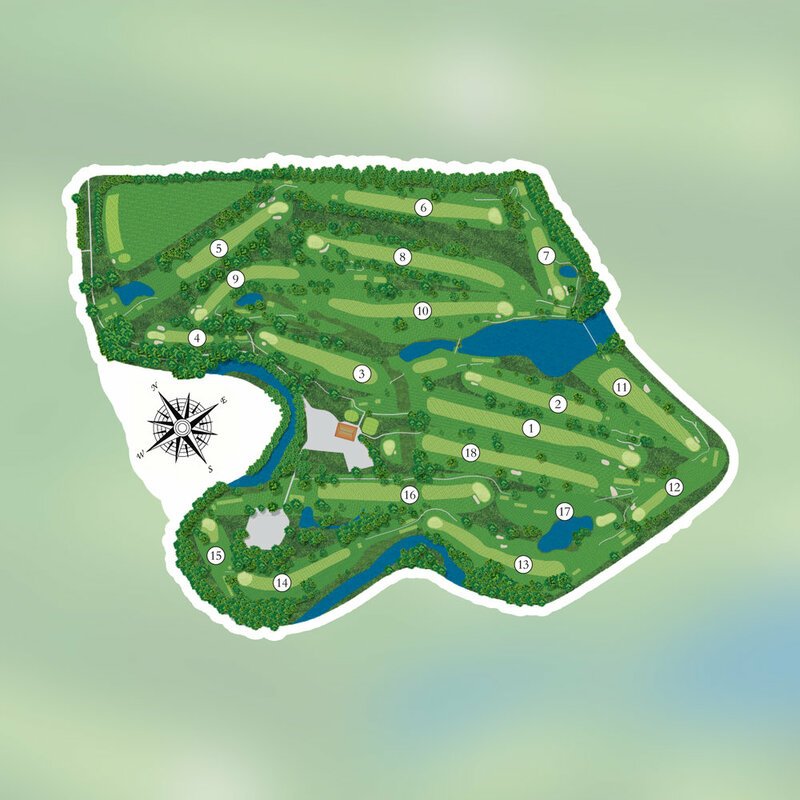 Designed by Tom Vardon, brother to Harry Vardon, (6-time British Open Champion and originator of the Vardon grip) the course is of the “classic” style. Not long in distance, but the 18 holes are well defended by quick greens that require accurate approach shots. 4694 yards from the red (women's) tees. The best part of golf is the 19th hole to tell stories. Here at the Vardon Restaurant that is our focus, provide a fun atmosphere, with outstanding service and great food! The Daily Menu has all the favorites and a few menu items unique only to The Vardon, such as a unique deep fried Pepper Cheeseburger and homemade Pepperoni Pizza Rolls. Stop in and enjoy our Sports Bar atmosphere, the large outdoor deck, and incredible and unique evening dinner specials.